An impulsive Google Search session earlier today, has inspired me to follow a new and more effective strategy to achieve my goals. I will tell you all about it, but first I’ll be taking care of dinner, because my writing makes me very hungry. So I’ll be making this three course meal, as I wait for my relatives to come home. 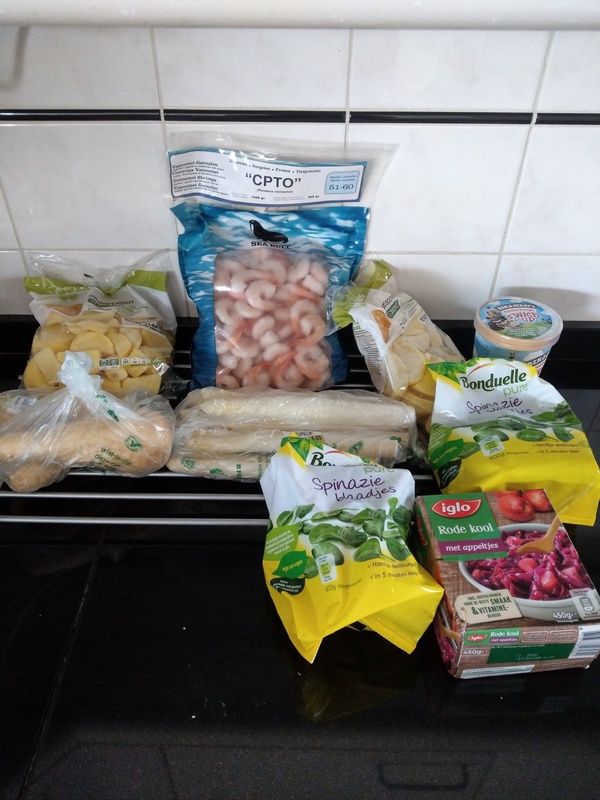 I’m going to make an improvisation of mashed potatoes, a combination of spinach and read coal with apples, “Caribbean shrimp” and parsnip-asparagus soup. And I bought ice cream for dessert 🙂 .